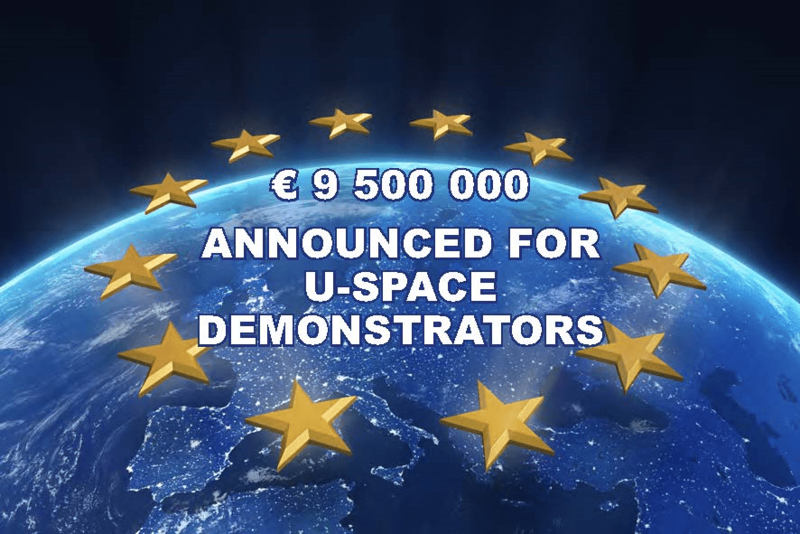 Call for U-Space Demonstrators Published By SESAR JU » UAV DACH e.V. The SESAR Joint Undertaking (SESAR JU) has today launched a call for proposals for studies, including demonstrations on drone traffic management in Europe. The call is a further step towards the European Commission’s U-space vision for ensuring safe and secure access to airspace for drones. U-space is an enabling framework designed to facilitate any kind of routine mission, in all classes of airspace and all types of environment – even the most congested – while addressing an appropriate interface with manned aviation and air traffic control. When fully deployed, a wide range of drone missions that are currently being restricted will be possible thanks to a sustainable and robust European ecosystem that is globally interoperable. The main objective of the call is “to comprehensively prepare and de-risk a rapid deployment of U-space initial services (U2) as outlined in the U-space Blueprint. U2 provides the initial set of key services building on the foundation services (U1) by adding game-changing improvements enabling initial beyond visual line-of-sight operations (BVLOS) in rural, urban and sub-urban environments and facilitating the processes for authorisations for some drone operations”. Projects establishing a connection with the EU Smart Cities initiative are particularly encouraged. Significantly contributing to the EU regulatory process for drones placed under the aegis of EASA. With a call budget of EUR 9,500,000 within the framework of the European Commission’s Connecting Europe Facility (CEF), the SESAR JU intends to co-finance between 5 and 10 demonstration sites across different EU Member States. The deadline for submissions is 15 May 2018.